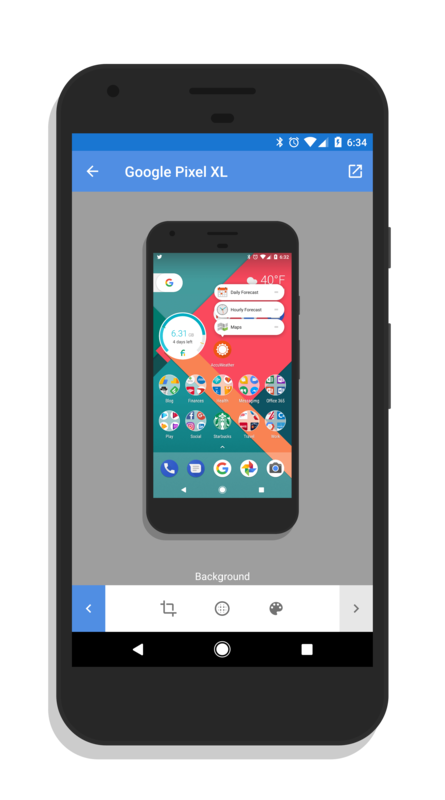 screenshot and tries to give you a good background automatically for that screenshot. Overall it works well and often produces some great looking backgrounds to complement your shot. You can still override this as you are creating your screenshot to whatever background color you desire. There are other minor bug fixes and improvements in this update to Screener and Toastcode indicated in the release notes that this build preps the app for more device frames to be coming in short order to it. If you need to make solid looking screenshots of your Android device, I highly recommend Screener. It is a free app and available in the Play Store. For those who have it installed already, look for an OTA update today or tomorrow to hit your device.